﻿ Leganés 1-3 Real Madrid. Third straight comeback! 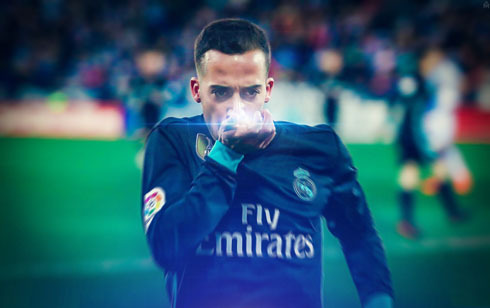 21.02.2018 » Leganés 1-3 Real Madrid. Third straight comeback! Real Madrid reached their fourth straight victory this month and their last victim was Leganés. The Merengues beat their opponents 3-1 tonight and are now 3rd in La Liga, 2 points above Valencia and 7 points below Atletico Madrid. Real Madrid have finally gone through their delayed league fixture against Leganés this Wednesday night and Zinedine Zidane couldn't be happier with the result. The Frenchman rotated his team and still saw his men collecting the 3 points in a 3-1 win against Leganés. Cristiano Ronaldo was rested tonight and certainly had plenty of time to enjoy his evening playing in any online casino, while Marcelo, Kroos and Modric were also unavailable as they all recover from minor injuries. After conceding another early lead to their opponents, the reigning European champions reacted with determination and thanks to goals from Lucas Vázquez and Casemiro, they went into half-time already in front. 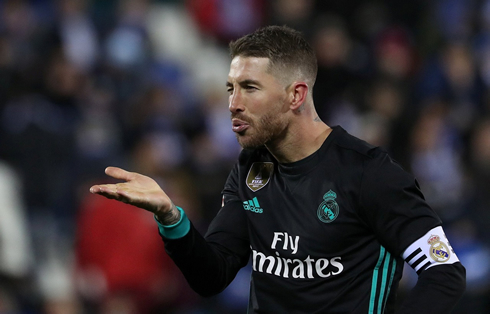 Sergio Ramos sealed the deal in the second half in added time, converting a penalty-kick that set the final score in 3-1 to Real Madrid. Praise Mateo Kovacic! What a match from the Croatian midfielder today. With a changed squad due to injury and our focus on the Champions League, Kovacic shined today, looking every bit the part of Luka Modric's eventual successor. The rest of the lads were up for it as well, as Madrid ran out 3-1 victors away to Leganes, the team that knocked them out of the Copa Del Rey just under a month ago. With the victory (this was the heavily discussed game at hand that Madrid had to make up), the Merengues have moved into 3rd place in La Liga, and their improved form has been a welcome surprise given how the beginning of the season went. It seemed at times Madrid would end up 5th and out of the Champions League altogether. Still, the match began with a scare, as a Bustinza header put Leganes in front after only 5 minutes. 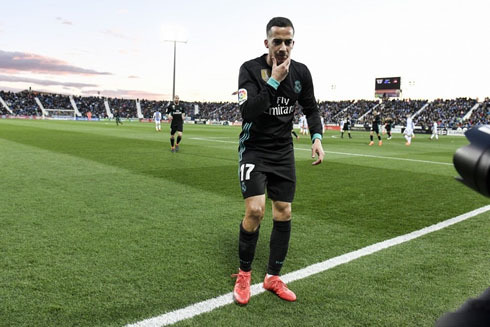 But Zidane's favorite player Lucas Vasquez, was able to fire home from an angle making the match level. The next goal from Madrid would be a masterpiece as Benzema, Isco and Casemiro of all people combined brilliantly to put Madrid ahead for the first time in the match. Whenever people bring up Benzema's gaudy link-up play, it's goals like this they are talking about. 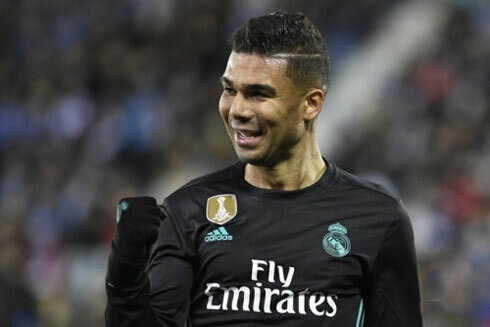 It was Madrid at its finest and Casemiro finished it off brilliantly. We still can't keep clean sheets and saying that our defense leaves a lot to be desired would be an understatement, but at least we've found out the footing in front of goals and we found them without crossing. A solid victory today. Cristiano Ronaldo next game for Real Madrid is on February 24 of 2018 against Alavés. You can watch Juventus live stream, Real Madrid vs Alavés, Atletico Madrid vs Copenhagen, Zenit vs Celtic, Arsenal vs Ostersunds, and Atalanta vs Borussia Dortmund, all matches provided from our live sport game pages.